Bananas! It’s not just minions that come running for them apparently. In my house, we share a secret game with the dogs – it’s called ‘peel a banana without Skye realising’. Despite being at least three rooms away, and all my efforts at quiet extraction from the fruit bowl, kid-glove handling, and the gentlest snapping of the stem, Skye will always be the first one to arrive, rapidly followed by the others – who although they like a bit of it to taste, are really just joining in for the fun of the race. Her recall to the sound (and no doubt, scent) of a banana being unwrapped is really superlative. It’s incredibly fast, totally reliable and absolutely on cue. I’ve no idea how she does it, but she’s spot-on, every time. I bet your dog has something that he or she comes running for each and every time too – whether that’s a packet of crisps being opened, the sound of the biscuit tin, or someone at the front door. If your dog doesn’t always come when he’s called in other situations – such as in the park or the woods, ask yourself what’s the difference is between your recall then and his perfect recall to the doorbell, crisps or the biscuit tin. If you want to improve how fast and reliably he comes when he’s called when you want him to, the answer is right there. Now, I’m not suggesting you carry the biscuit tin to the park. It’s not about the cue. It’s about how your dog learned that the cue was 100% worth coming for. This is the ‘what’s in it for me’ part of the equation. I know that each and every time Skye has magically appeared when I pick up a banana, I’m so impressed that she’s bound to get the end bit. She loves banana. She loves the race to get the banana. She loves that it’s a random event. She loves the excitement it creates in the other dogs too, and that little bit of competition between them (she is part Collie after all). Put all of these banana-inspired-ingredients into the training melting pot and the recipe will produce one great recall after another. Have a think. 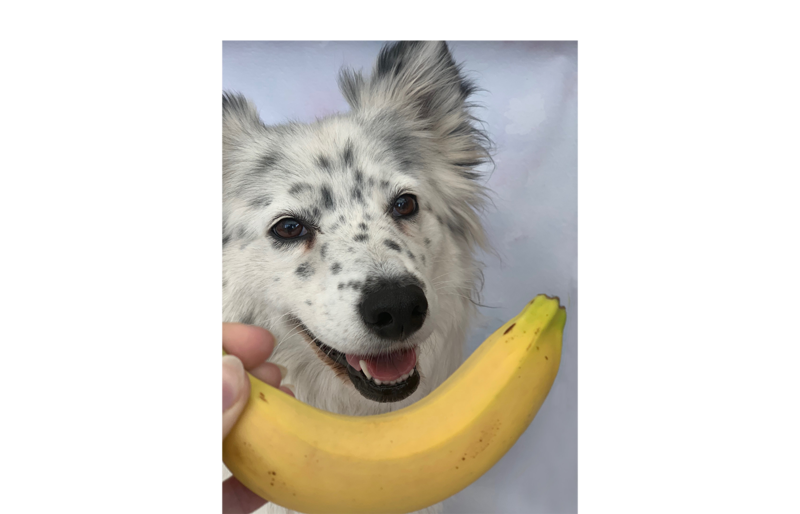 What’s your dog’s ‘banana equivalent’? And how can you use the lessons it gives you to get your perfect recall in the park too?